EAST SEA POLAND Spółka z o.o. filed a notice of opposition to a final decision of the Polish Patent Office on the grant of a right of protection for the word-figurative trade mark BIEN DÔNG R-204010 registered for services in Classes 36, 39 and 43, and owned by AEROCENTER TRAVEL Trinh Huy Ha. EAST SEA claimed that this mark is descriptive, because in the translation from Vietnamese to Polish language, it is the name of the South China Sea – Biển Đông. This name is the official designation of the geographic area used in the Socialist Republic of Vietnam and as such it should remain free to use on the market. The company argued that this trade mark may lead to consumers’ confusion, in particular those of Vietnamese nationality, as to the nature or characteristics of services provided by the owner, because the sign in its content relates to the maritime area, which is associated with maritime transport, and not to the services that it was registered for. EAST SEA argued that the Bien Dong designation may be misleading as to the place where services are provided, as the owner provides its services in Poland and not in Vietnam. It is worth mentioning that EAST SEA applied for three trade marks that include BIEN DONG words. AEROCENTER TRAVEL argued that the Bien Dong is strictly abstract expression for the average Pole who doesn’t know what it means in Vietnamese. The Company disagreed, that this is false or fraudulently marked geographical origin of their services, since none of the customers going to the office in Warsaw would expect it to be in Vietnam at the South China Sea. The Polish Patent Office dismissed the opposition and EAST SEA POLAND decided to file a complaint against this decision. The Voivodeship Administrative Court in Warsaw in its judgment of 13 May 2011 case file VI SA/Wa 396/11 dismissed it and held that the Polish Industrial Property Law – in principle – does not preclude the registration in Poland as a national trade mark, the word that is taken from the language of another country in which language this word is devoid of distinctive character or it is descriptive for the goods or services for which the registration was sought, unless recipients/consumers in the State in which registration is sought, would be able to read the meaning of this word. Categories: absolute grounds for refusal | Art. 129(2)(i) IPL | Art. 129(2)(ii) IPL | Art. 131(1)(iii) IPL | Art. 246 IPL | descriptive character | distinctive character | geographical name as trade mark | Polish Act on Industrial Property Law | trade mark opposition | trademark law | Voivodeship Administrative Court. On August 2008, in a post entitled “Trade mark law, case Sp. 127/07 and Sp. 254/07” I commented on two decisions of the Polish Patent Office regarding differences in labels for mineral water that shared the same word element “Zloty Potok” (“Golden stream”), this being also the name of a village from Gmina Lesna. The vogt of Gmina Lesna and Zloty Potok Company did not agree with PPO’s findings and they lodged a complaint to the Voivodeship Administration Court in Warsaw arguing that Sokpol Company’s trade mark “Zloty Potok” R-177610 may lead consumers to confusion as regards the orgin of goods, that it was applied for in bad faith and it is unlawfully using the name of a village. The PPO argued that according to the Court of the First Instance’s findings in case , Peek & Cloppenburg KG v. OHIM (Cloppenburg), the registration of geographical names which are unknown to the relevant class of persons is not in principle precluded. The Voivodeship Administrative Court in Warsaw dismissed both complaints in its judgments, case files VI SA/Wa 1996/08 and VI SA/Wa 1995/08. The VAC held that the disputed mark should be assessed as a whole, which in this case concerns a sign that is made up of figurative element and “Zloty Potok” description. In consequence, this trade mark is is fanciful sign which could not constitute the registration of a geographical or historical name. The sign does not mislead consumers because it does not contain information that the materials for the production of goods it was registered for come from Zloty Potok, but that they originate from Jura Krakowsko-Czestochowska. Thus the argument based on bad faith registration cannot be taken into account. See also my posts entitled “Trade mark law, case 6 II SA 1156/02“, “Trade mark law, case II SA/Wr 2928/02” and “Trade mark law, case VI SA/Wa 1945/05“. Categories: Art. 131(1)(iii) IPL | Art. 131(4) IPL | Art. 132(1)(i) IPL | geographical name as trade mark | Voivodeship Administrative Court. On 10 October 2002, the city council of Polanica Zdrój passed resolutution no XLIV/247/02 on permission to use the commercial name of the city. The council agreed that the trade mark application consisting of “Polanica Zdrój” words would be applied on behalf of ZUK company. The resolution also included an attachment – a model contract which was deemed as an integral part of the resolution. The format of this agreement had the same legal nature as the resolution. The agreement set out, inter alia, the terms and conditions of use of the city name as a trade mark for mineral water, the rules for ZUK company regarding the payment to Gmina, the amount of the monthly fee – set to one grosz (a hundredth part of 1 złoty) – from a bottle of water sold, but not less than 5000 PLN per month, the rules how to change the contract, the method of settling disputes. On 5 Nover 2002, the governor of a voivodeship (a first instance body to decide on the validity of local governments legal acts) ruled the resolution invalid. The governor decided that Polanica Zdrój was not the name of local government (gmina) but a geographical designation that is widely used in the Republic of Poland and abroad. Nouns and adjectives based on that geographical name are used without any restrictions. Reducing the use of a common name and its commercialization requires a proper law – an enactment. In the current legal system, there is no such law, therefore in other cities their names are used without restrictions. Gmina filed a complaint to the Supreme Administrative Court arguing that, while filing an application for the registration of trade mark consisting of the geographical name of Polanica Zdrój, the company ZUK has a mandatory obligation to demonstrate the right to use the name. The Governor asked the court to reject the complaint because a geographical name is not the name of local government but the name commonly used and there is no legal basis for placing restrictions on its use, and what is linked to that – to charge fees for the use of a Polanica Zdrój name and that the name of a place can not be regarded as a trademark. The Supreme Administrative Court (oz. Wroclaw) in its judgment of 18 March 2003, case file II SA/Wr 2928/02 ruled that there is no legal basis for the municipal council to take a resolution on the commercial use of the name of the city and to establish the level of fees charged for such use. The city council has exceeded the scope of its powers by setting a draft of a contract in its resolution and stepped into the powers of the mayor which is a body entitled and empowered to manage the city, and thus being the right party to enter into such contracts. See also posts entitled “Trade mark law, case I ACr 770/93“, “Trade mark law, case 6 II SA 1156/02“, “Trade mark law, case VI SA/Wa 1945/05“, “Trade mark law, case Sp. 127/07 and Sp. 254/07” and “Trade mark law, cases VI SA/Wa 1996/08 and VI SA/Wa 1995/08“. Categories: Art. 131(1)(iii) IPL | Art. 131(4) IPL | Art. 132(1)(i) IPL | geographical name as trade mark | Polish Supreme Administrative Court. Sokpol Company from Myszków has applied for the word-figurative trade mark “Zloty Potok” (“Golden stream”) in 2001. In 2006, the Polish Patent Office granted the right of protection for this trade mark, R-177610. 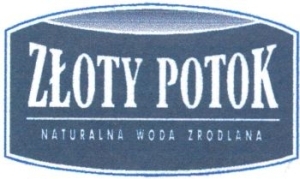 Zloty Potok Company, which has its headquarters in the village of Złoty Potok, applied for a word-figurative trade mark “Zloty Potok Naturalna Woda Zródlana” in 2005. In 2007, the PPO granted the protection right R-185543. Zloty Potok and Gmina Janów have filed a request for invalidation of the right of protection Sokpol’s trade mark before the Polish Patent Office. The patent attorney representing Zloty Potok argued that Sokpol’s trade mark is misleading because its products did not come from Zloty Potok’s spring from Janów and that such water is only produced by Zloty Potok. Sokpol only received a consent to use this name for its products from the administrative district of Gmina Lesna, where Zloty Potok is located. However the distance between the village of Zloty Potok and Myszków, where Sokpol is based,is around 370 km. This situation, in Zloty Potok representative’s opinion, could also lead to consumers confusion. The PPO in its decisions case no Sp. 127/07 and Sp. 254/07, has ruled that both “Zloty Potok” trade marks differ because of their rich layout and fancy designs and that there is no risk of consumer confusion as regards to origin of goods. These decisions are not final and are not binding. Both parties may lodge a complaint to the Voivodeship Administrative Court. See also my posts entitled “Trade mark law, case 6 II SA 1156/02“, “Trade mark law, case II SA/Wr 2928/02“, “Trade mark law, case VI SA/Wa 1945/05” and “Trade mark law, cases VI SA/Wa 1996/08 and VI SA/Wa 1995/08“. Categories: Art. 131(1)(iii) IPL | Art. 131(4) IPL | Art. 132(1)(i) IPL | case law | geographical name as trade mark | Polish Patent Office. The Voivodeship Administrative Court in Warsaw in its judgment of 17 January 2006, case file VI SA/Wa 1945/05 in case concerning “SZCZAWNICKI zdrój” R-147476 trade mark ruled that the Polish Patent Office while deciding the request for the invalidation of the right of protection for a trade mark has to examine the sign in a form in which it was applied for the registration not in a form that the trade mark is used on the market, for example as the product label. The refusal of the invalidation of “SZCZAWNICKI Zdrój” trade mark (used inter alia as a designation for mineral waters), which was conducted by the Polish Patent Office without adequate consideration, especially in case if the disputed mark has information character that points to the place of origin of goods that are produced by the prorietor of the earlier trade mark registration and which may in consequence be perceived by the consumers as an indication which has no relation with a given producer, was made in violation with the provisions of administrative procedure. See also my posts entitled “Trade mark law, case 6 II SA 1156/02“, “Trade mark law, case II SA/Wr 2928/02“, “Trade mark law, case Sp. 127/07 and Sp. 254/07” and “Trade mark law, cases VI SA/Wa 1996/08 and VI SA/Wa 1995/08“. Categories: Art. 131(1)(iii) IPL | Art. 131(4) IPL | Art. 132(1)(i) IPL | case law | geographical name as trade mark | Voivodeship Administrative Court. On 10 April 1996 the Polish company PPZU Kry-Pop from Krynica filed a request to the Polish Patent Office to issuee a decision on the invalidation of of the right of protection for word-figurative trade mark Krynica Zdrój R-88722 owned by “Mul.” company from Warsaw (later on the ownership of the company was transfered to Krynica Zdrój Sp. z o.o. from żywiec) registered in class 32 for goods such as sparkling mineral water, mineral water and flavored water. Kry-Pop argued that the contested trade mark is similar to its trade mark “Kryniczanka” R-95268 registered with an earlier priority which is also widely known in Poland for the designation of mineral water originating from the area of the town of Krynica. The Voivodeship Administrative Court in Warsaw in its judgment of 12 May 2004, act signature 6 II SA 1156/02, ruled that “Krynica Zdrój” and “Kryniczanka” trade marks are not similar to the extent that they may mislead customers as to the origin of the goods and they differ in visual and phonteic aspects. In addition, in the absence of similarity of both trademarks it was difficult for the Court to decide whether the rules of social coexistence were violated by the later registration of a trade mark which has a different phonetic tone and which is not misleading customers about the origin of goods. See also “Trade mark law, case II SA/Wr 2928/02“, “Trade mark law, case VI SA/Wa 1945/05“, “Trade mark law, case Sp. 127/07 and Sp. 254/07” and “Trade mark law, cases VI SA/Wa 1996/08 and VI SA/Wa 1995/08“. The Appellate Court in Gdańsk in its judgment of 24 November 1993, case file I ACr 770/93, held that the name “Gdańsk” is not the local government unit, which is the “Gdańsk Municipality”, but a geographical name used in Poland and abroad. Foreign language versions are well-established names of Gdańsk, e.g. German – Danzig, Italian – Danzica, Latin – Gedania. Nouns and adjectives form the geographical name are used without restrictions. Restrictions on freedom to use and commercialize the public goods requires introduction of a legal act. However, there is no law limiting the use of the name of the city. In particular, the provision of article 18(1) of the Polish Act of 8 March 1990 on Local Self-government (in Polish: ustawa o samorządzie terytorialnym) Journal of Laws (Dziennik ustaw) of 1990 No. 16 item 1995, as amended, does not authorize the municipal council to restrict the use of geographical names and the introduction of fees for their use. There is another legal basis for such commercialization. It should be also noted that the names of Polish towns and cities were settled in the Polish Act of 29 August 2003 on the official names of localities and physiographic objects, Journal of Laws (Dziennik Ustaw) No. 166, item 1612, as amended. The name, short name and coat of arms of Capital City of the Republic of Poland are regulated by the Act of 15 March 2002 on the system of Capital City of Warsaw, Journal of Law (Dziennik Ustaw) No. 41, item 361, as amended. In the case of place names, which are both common nouns, the refusal of protection shall be permitted only if the other elements of the trade mark are clear that the applicant refers his sign to the name of the village and not to an ordinary noun (e.g. in addition to the trade mark there is attached a map that identifies a name with a specific town). See also posts entitled “Trade mark law, case 6 II SA 1156/02“, “Trade mark law, case II SA/Wr 2928/02” “Trade mark law, case VI SA/Wa 1945/05“, “Trade mark law, case Sp. 127/07 and Sp. 254/07” and “Trade mark law, cases VI SA/Wa 1996/08 and VI SA/Wa 1995/08“. Categories: Art. 131(1)(iii) IPL | Art. 131(4) IPL | Art. 132(1)(i) IPL | geographical name as trade mark | Polish Act on Industrial Property Law | Polish Appeallate Court | trademark law.